It’s 2008 and time for a my 4th annual challenge! Quite honestly, I am a bit nervous, because while 2007 was a fantastic year. 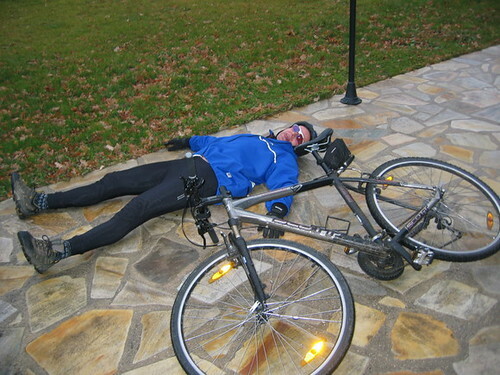 It was also by far the most I have ever cycled. It will be tough to beat with my aging legs. 2008 November Update: Exhausted, I have achieved my 2008 ascent goal – details here. In 2008 I will again try and cycle 160,000 metres of vertical ascent (525,000 feet or one foot for every minute of every day of the year). But I will try and do it a little smarter, focusing a bit more on optimizing my fitness – but without taking myself too seriously. 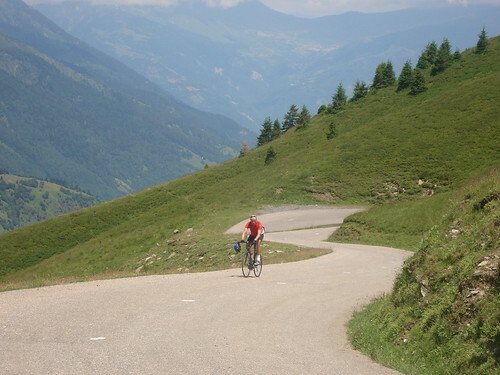 I like cycling uphill and using ascent as a challenge means every ride counts. It suits me. I will lose 13 pounds by June 30th – AND importantly keep it off until the end of 2008. I will also have periodic time trials versus my 2007 self. 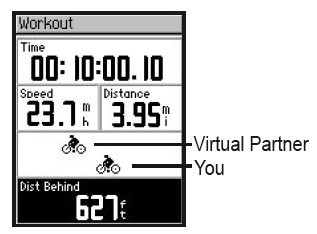 Using my Garmin Edge GPS I can race myself in real time using previous routes as a comparison. So every now and then I will measure progress versus 2007. As always, I will publish monthly progress updates to keep myself on track. Rules: Hiking and cross-country skiing count – I don’t want my silly challenge to discourage fun. Why do I do these Challenges? – For some reason they keep me highly motivated – I would exercise a fraction of the amount otherwise. And it’s a hobby I guess. Wish me luck and happy new year. So Good luck and Happy new year ! It’s a nice set of goals for 2008. I’m happy to see you’ve put the TT goal as “for fun” though. You might never catch the virtual partner you create on the day the wind is at his back. If you created him early in the year… But then, you could always simply delete him. All the best for ’08! Mark, yes, I try not to take this stuff too seriously, 🙂 but the Virtual Partner can be fun to race. That’s going to be a great accomplishment. Just remember that you have more work to do in 2008 because it’s a leap year… that’s another 1,440 feet over 2007! First, big congratulations again on successfully completing your 2007 challenge — it is very impressive! And second, I think your 2008 challenge is great — let me know when you need a support driver to bring you down from your big ascents! Bonne chance! I added a link about your website in main page. I like the weight loss resolution. Power to weight ratio, you need every ounce of it up there. Thanks v much for the map but also good to read about a fellow climbing nut…especially one who also uses a triple. Have you ever ridden across the Nullabor? Any suggestions – do’s or don’t’s? Do you travel with a support team or on your your own? Congratulations on meeting the “challenge”. Glad that I was able to partake in part of your sucess! A memorable year indeed! Watching Le Tour with you at Le Col du Galibier stands out as the highlight of the cycling year for me! Only one suggestion…..try to have more fun next year. You are just wwwwway tooooooo serious!!!! !